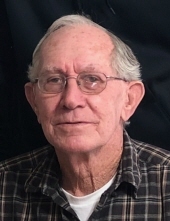 Darrell Monday, 81, of Sissonville passed away, Tuesday, April 2, 2019. He was born January 29, 1938 in Sissonville, WV a son of the late Guy and Lola Fisher Monday. Darrell was a carpenter by trade and a member of Carpenters Local Union 1207. He loved his farm, cattle and working in the hay. He is survived by his wife of 57 years, Doris Smithson Monday; sons Ralph and his wife Melissa and Darrell and his wife Amy; Grandchildren Whitney, Sidney(Brandon), Kendyl, Brooke, and Bliss; great-grandchildren Eli and Everlee. He is also survived by a sister, Janet of Canton, OH. In addition to his parents he was preceded in death by brothers Glenn, Ervin, and Carroll Monday, and a sister Leunice Dillard. Funeral service will be 2 p.m. Thursday, April 4th at Waybright Funeral Home, Ripley with Pastors Jerry Bonnett and Greg Estep officiating. Visitation will be from 12 p.m. until the time of service. Burial will follow in the Emma Chapel Cemetery, Liberty. Online memories and condolences can be sent to the family by visiting www.waybrightfuneralhome.com. To plant a tree in memory of Darrell Monday, please visit our Tribute Store. "Email Address" would like to share the life celebration of Darrell Monday. Click on the "link" to go to share a favorite memory or leave a condolence message for the family.